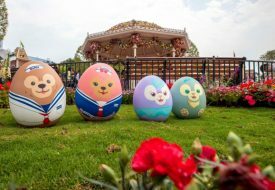 We are still a little less than two months away from the June school holidays, but we are definitely marking our calendars now for this Toy Story–themed carnival happening from 15 to 30 June. The classic Disney/Pixar franchise is the theme of this year’s Children’s Festival at Gardens by the Bay, open free to all. The annual festival has been bringing beloved stories from our childhood out onto the beautiful green at Gardens by the Bay every year. 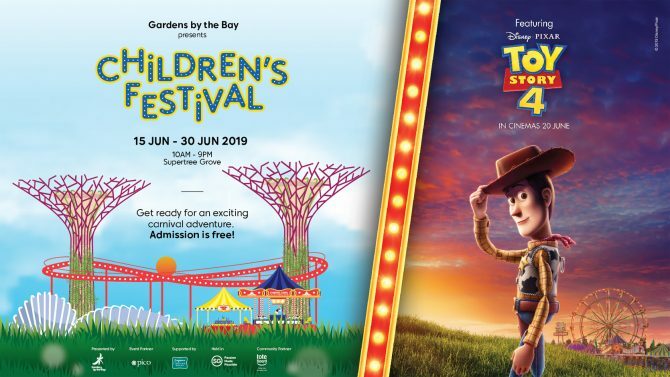 Presented by Gardens by the Bay, the 2019 edition is in collaboration with the Singapore Tourism Board and The Walt Disney Company Southeast Asia, to make it a special one for fans of the Toy Story movies. 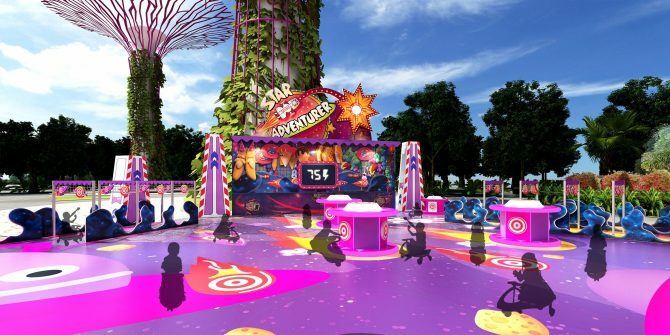 The Supertree Grove will be transformed into a big, immersive carnival inspired by Toy Story, including features from the upcoming Toy Story 4 movie! Catch the newest installment in the series when it arrives in cinemas on 20 June, and then revisit the vibrant world at Gardens by the Bay! 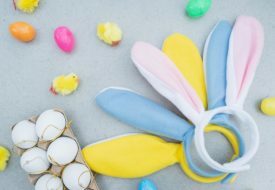 From 10am to 9pm on each of the days, play your heart out at the many family-friendly carnival games and activities inspired by the wonderful adventures that Woody, Buzz and the gang go on. Learn all about the magic of friendship and working together as a team as you have fun. There are lots of exciting games to take part in at the carnival. At “Star Adventurer” (pictured above), your little ones can hop on self-driving cars and race around to recharge Buzz Lightyear. Another exhilarating game that keeps the young participants moving is “Bo Peep’s Adventure,” an obstacle course that challenges your speed, agility and endurance. Don’t forget to stop by the carnival game booths featuring Woody and Jessie! Visitors can also look forward to bringing the magic home with exclusive merchandise available for purchase at the festival. Something all visitors can enjoy together is the Toy Story 4-themed marble run track (pictured above). It’s a show that runs twice every hour, on a approximately 150-metre track that will be built around two of the Supertrees. Keep an eye out for a large, 1.5-metre-wide marble as it weaves around the Supertrees and travels along the long track. 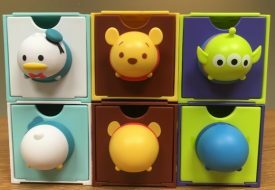 Backed by timeless songs from the previous Toy Story movies, the show will be a delight for fans. 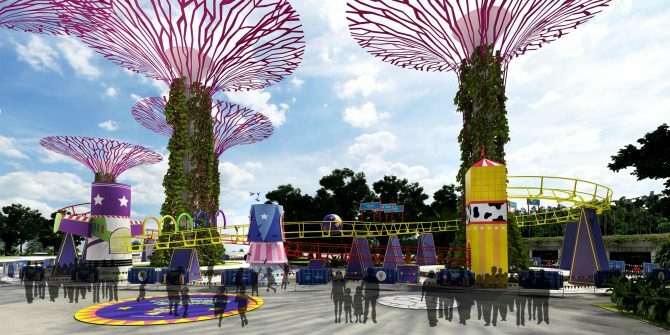 We have little doubt that the new Toy Story 4 will bring us even more favourite songs and music, and visitors can sing along to them during the special themed edition of the Garden Rhapsody, the signature light and music show at Gardens by the Bay. Each day of the Children’s Festival will end with the show, so here’s a reason to stay back a little later! Although most of the carnival games may be targeted at younger visitors, the entire festival is designed for families and friends to have a fun bonding time. So grown-ups who love Toy Story, let your inner child run wild at the carnival! Admission is free. Visit the official website for more information.